KUALA LUMPUR, MALAYSIA - MARCH, 2017: Petronas Twin Towers on March, 2017 in Kuala Lumpur, Malaysia. 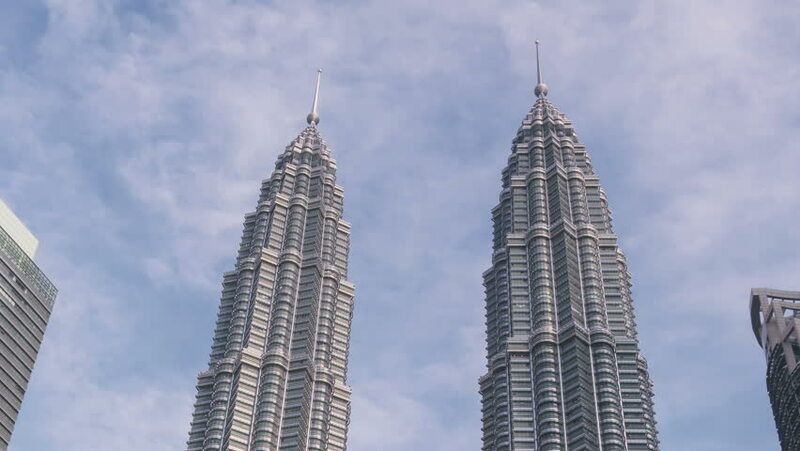 Petronas Towers were the tallest buildings (452m) in world during 1998-2004. Time Lapse zoom out. 4k00:12Kuala Lumpur, Malaysia - October 27, 2018: Establishing b-roll cinematic shoot of Petronas Twin Towers Symphony Lake. 4k00:15KUALA LUMPUR, MALAYSIA - JANUARY 2016: downtown famous petronas twin towers kuala lumpur panorama circa january 2015 kuala lumpur, malaysia. 4k00:15KUALA LUMPUR, MALAYSIA - JANUARY 2016: downtown famous petronas twin towers kuala lumpur panorama circa january 2016 kuala lumpur, malaysia. 4k00:13KUALA LUMPUR, MALAYSIA - JANUARY 2016: storm sky evening famous kuala lumpur petronas twin tower circa january 2016 kuala lumpur, malaysia. 4k00:13KUALA LUMPUR, MALAYSIA - JANUARY 2016: storm sky evening famous petronas twin tower circa january 2015 kuala lumpur, malaysia.